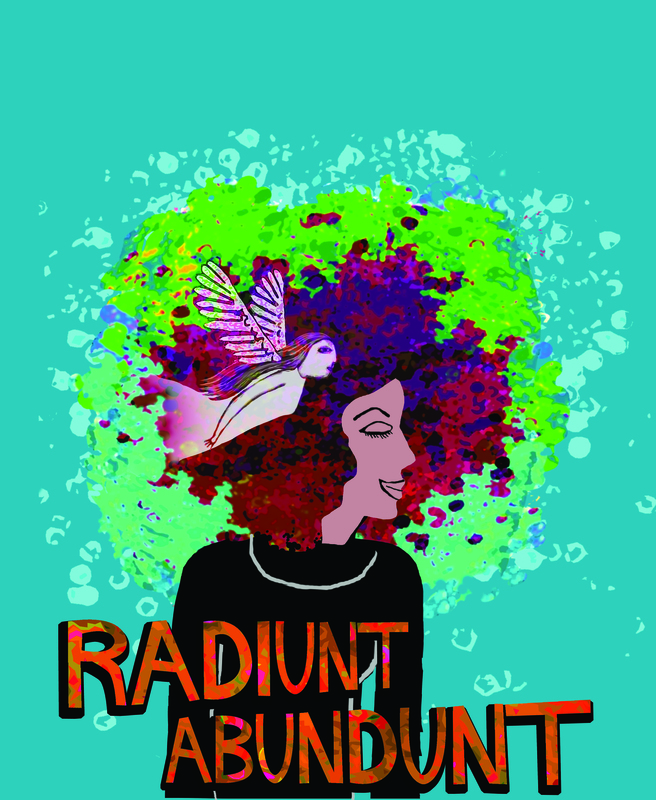 Triad Stage will premiere “Radiunt Abundunt,” a play by Preston Lane, Triad Stage’s Artistic Director, and local musician Laurelyn Dossett, on Feb. 21, 2016. It will run until mid-March. This past Saturday, Feb. 6, the two artists sat down together to talk about the play and answer audience questions at the Weatherspoon Art Museum. Dossett had an unconventional start when it came to working with the music and theater industry, only beginning about 15 year ago after she received her undergraduate degree in psychology and master’s at UNCG in counseling. Dossett has worked with Preston Lane on six plays, and this is the 10th anniversary of their working together. When working, Dossett tends to use instruments, her voice and song-writing abilities all at the same time to produce her compositions. “When I’m creating a song for a play, they usually have a job. They are there to advance the story, set time in place or set an emotional mood,” Dossett explained. Lane and Dossett have been working together since 2006 and met in an unconventional way. Lane had been listening to BBC Radio and heard Dossett’s song, “Leaving Eden.” He had been searching for artists with a more North Carolina-based vernacular for a play he was working on and reached out to Dossett, asking if she would be interested in writing songs for a play. Lane and Dossett had the idea for “Radiunt Abundunt” two to three years ago and received a grant from The National Endowment for the Arts. “This play has been a long time coming,” Lane said, explaining that he was trying to reorient his life after having a stroke when he began the process of writing it. “The thought occurred to me, that outsider artists are often distillations of what trained artists do. It’s the absolute need to make art. The absolute need to tell stories, to say something, to communicate with people. It comes out without the rules you learn at school and it comes out in a way that speaks to the heart of where creativity comes from,” Lane explained. In the play, the main character is an outsider artist whose family is embarrassed of her. The concept of the play is an exploration of art and why artists make art, and can be seen as semi-autobiographical. “This play is set in real-time, and it’s not a fairy tale. It’s not true but it could be real. The songs are less fantasy-oriented and there’s more of an emotional subtext in these songs than what we typically have,” Dossett explained. The role of the music in “Radiunt Abundunt” is less direct than a typical play; this play has a lot of projected art in it and the musicians act as a type of Greek chorus. “It’s been a lot harder to write the songs for this play. I’ve had to find new ways to use the songs,” Dossett said. “Radiunt Abundunt” features an all-female cast of actors and musicians and revolves around a non-romantic plot, though Lane states that it still could’ve found romance. “We wanted to write a story with no men in it to focus on sisters, mothers and daughter relationships without being in a world where male hierarchy and the patriarchy existed no more in context than it had to be stated,” Lane said. In his past projects, Lane admits that much of the characters’ emphasis has been on males and he wanted to investigate telling stories from a stronger, feminine perspective. “I am wrestling with how, particularly as a white man, I can play a role in opening the theater so that it looks like America, which is incredibly difficult. I am at a place in my life and career [where I can] engage in America and that means I have to not just hang out with people who look like me,” he said, explaining his decision for an all-female cast. Even when he was searching and finding inspiration for the play, Lane declared that this story felt like it was always about women.